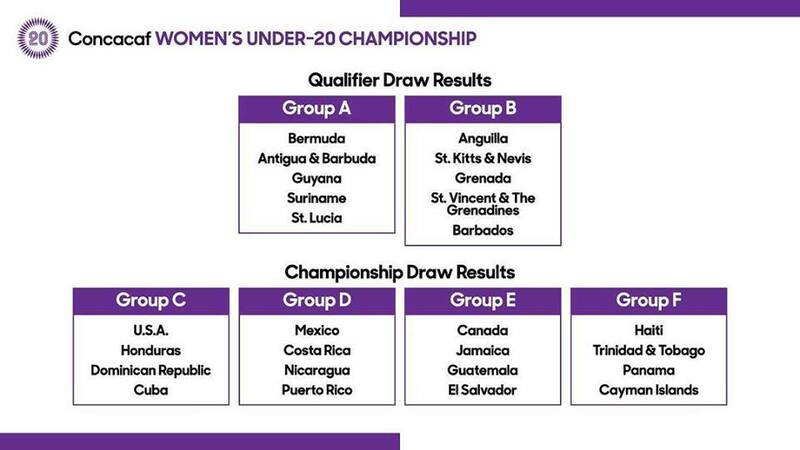 CONCACAF held the Women’s Under 20 Championship Qualifier & Championship Draws. Bermuda will be participate in Qualifying Rounds which are set to take place in July 2019. Bermuda were drawn in Group A alongside Antigua & Barbuda, Guyana, Suriname and St. Lucia. 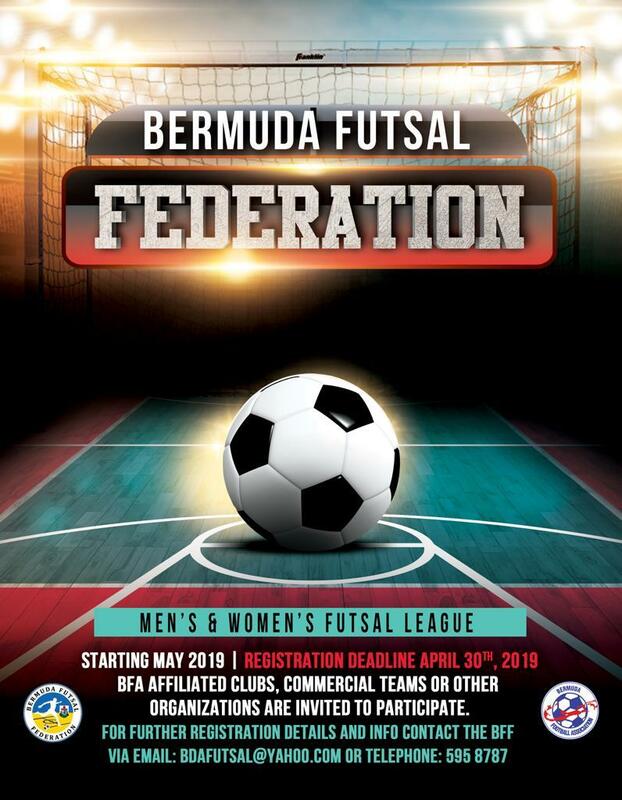 The Bermuda Futsal Federation have announced that registration for a Corporate Futsal League is now open. 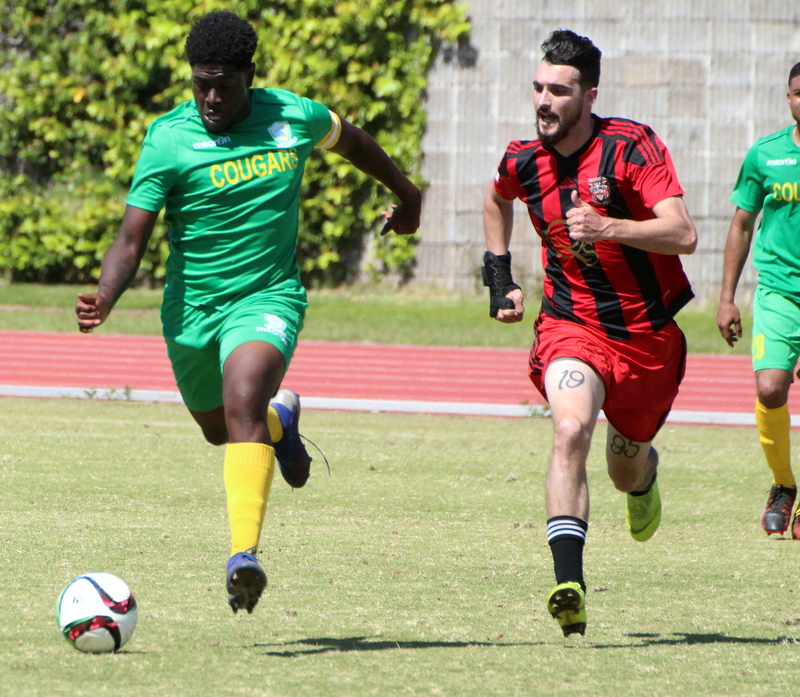 The League Games will take place inside the Bermuda College Gymnasium, with League play set to begin May 2019. Registration Deadline is April 30th. Bermuda Football Association Affiliated Clubs, Commercial Teams or other Organizations are invited to participate. The Devonshire Cougars came from behind to defeat the Somerset Trojans 3 – 2 in the Premier Development League Knock Out Final at the National Sports Center. Demetre Daniels gave the Devonshire Cougars the lead in the28th minute, but five minutes later Jaz Rattery-Smith equalized for the Somerset Trojans. In the 41st minute Justin Corday gave the Somerset Trojans the lead as they took the 2 – 1 lead to the break. The Devonshire Cougars drew level in the 74th minute when Jasekani Furbert Wade found the back of the net and in stoppage time the Devonshire cougars were awarded a penalty after a foul in the box, Daniels had his spot kick saved by Shaquille Bean in goal for the Somerset Trojans, but Nyrobi Carmichael finished up the rebound for the win. 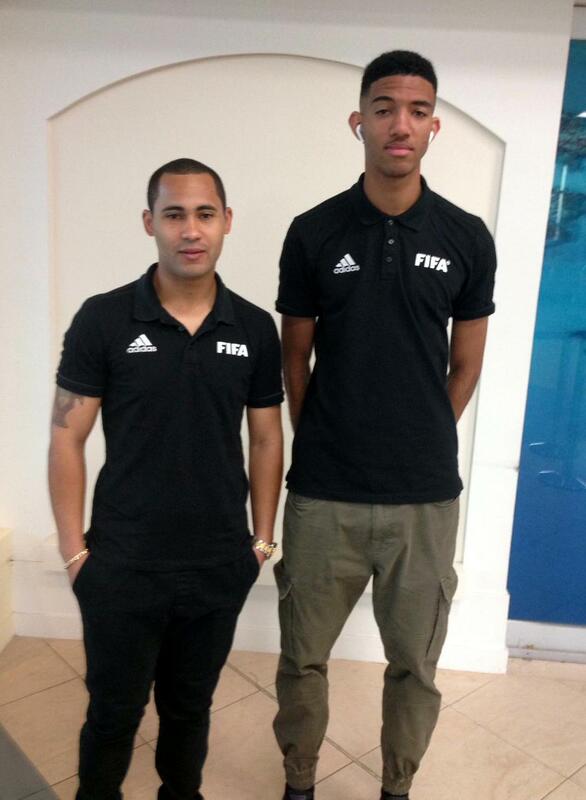 Two Bermuda Young Football Referees headed off to officiate overseas in Dallas, Texas. Stefan Maybury and Amaury Majors headed to the 2019 Dr Pepper Dallas Cup. The Dr Pepper Dallas Cup, the oldest and most prestigious International Youth Soccer Tournament in the United States, is celebrating their 40th Anniversary. Officials have announced due to the amount of rain the area has received and the current forecast, the schedule has been changed. Games on Sunday at MoneyGram and Richland College (Not Cotton Bowl) will be rescheduled to Tuesday. The tournament is scheduled to run from April 14th – 21st. The PHC Zebras picked up the Appleby Under 13 Knockout Trophy with this 3 – 1 win over the Next Generation Onions in the opener. 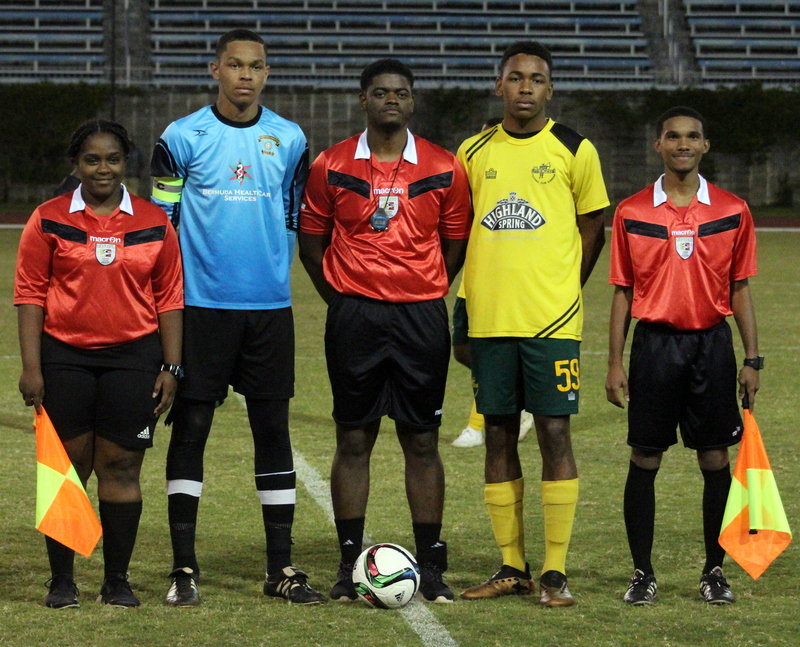 The PHC Zebras were led by Temai Hewey, who found the back of the net twice, while Zakao Hart added the other, Cole Summers scored the lone goal for the Next Generation Onions. The Warwick Archers Bows were crowned the Appleby Under 15 Knockout Champions following their 4 – 0 win over the PHC Zebras. The Warwick Archer Bows got two goals from Tristan Davis and single strikes from Justin Brangman and Armand Foy to complete the win. The Warwick Archers also were presented the Under 15 League Trophy during the presentation.